Francis J. McGovern will be a presenter at the program, "Fundamentals of Community Association Law", presented in cooperation with NJSBA Real Property Trust and Estate Law Section and the New Jersey Chapter of the Community Associations Institute. Damon M. Kress, Esq. presented "Developments in Construction Law and Litigation"
Damon M. Kress, Esq. presented "Developments in Construction Law and Litigation" at the 2018 Community Association Law Summit at the NJ Law Center in New Brunswick, NJ on Novermber 14, 2018. The 2018 CAI-NJ Conference and Expo was held on Thursday, October 18, 2018. The theme of the event this year was 40 Years of Primetime with CAI-NJ CAI-LAND. McGovern Legal Services participated with a prize-winning “All in the Family” themed booth with props and an authentic display of 40 years of primetime tv. Many attendees stopped by to take a rest on our sofa to watch an episode of one of television’s most popular sitcoms. 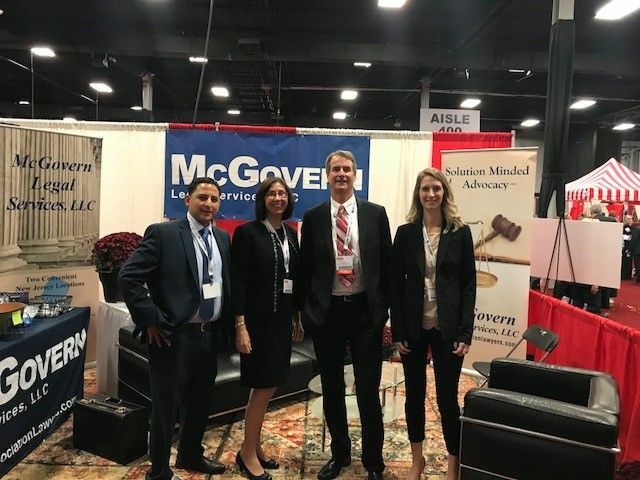 McGovern Legal Services was proud to be an exhibitor at the 2018 NJ Cooperator Expo held at the Meadowlands Exposition Center on Wednesday, May 2, 2018. Our lawyers were happy to speak with property managers and board members throughout the day discussing issues that impact homeowner, condominium and cooperative associations. On April 30, 2018, Fran McGovern gave a presentation to the New Jersey Emergency Preparedness Association (NJEPA) at the 20th Annual NJEPA Conference in Atlantic City, NJ. Fran's presentation focused on drones and the law and was attended by first responders which included police officers and correction officers. McGovern Legal Service's Damon M. Kress, Esq. will be a panelist at the 2017 CAI-NJ Legal Forum, discussing legal issues impacting community associations. Damon M. Kress, Esq. has a strong background and expertise in contruction litigation, bankruptcy law, and trial and appellate advocacy. As a panelist Damon will be looking to give those in attendence his nearly twenty years of knowledge and insight on community association law. As an Ultimate Partner of the New Jersey chapter of Community Association Institute (CAI-NJ), McGovern Legal Services is proud to have a featured article in the July 2017 Community Trends magazine. Each month Community Trends provides members of CAI with updates on current legislations and informative articles written by professionals and service providers. In this months issue McGovern Legal Services is highlighted in the Ultimate Partner Profile where readers can gain significant insight about McGovern Legal Services as well as some trivia about their attorneys. The 2017 CAI Dennis R. Casale Memorial Golf Outing was in full swing on June 27th at the Forsgate Gate Country Club. 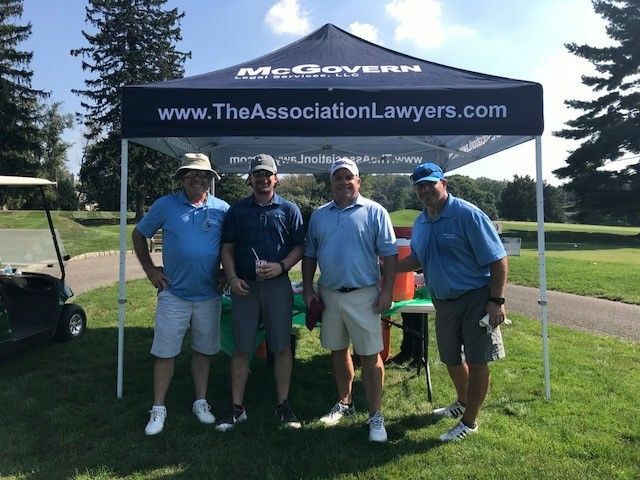 CAI members ranging from attorneys to property mangers were in attendance at the outing named after the late Dennis R. Casale, with over 200 golfers coming out to enjoy the fun in the sun. McGovern Legal Services was a proud Hole Sitter sponsor at the event. We would like to thank everyone that stopped by our hole sponsorship and spent time with us.